This package contains a variety of eleven (11) Stamps. Great for your Dad, Granddad, Spouse, Brother or Significant Other. Part of the Man Card Collection by PhotoPlay Paper. 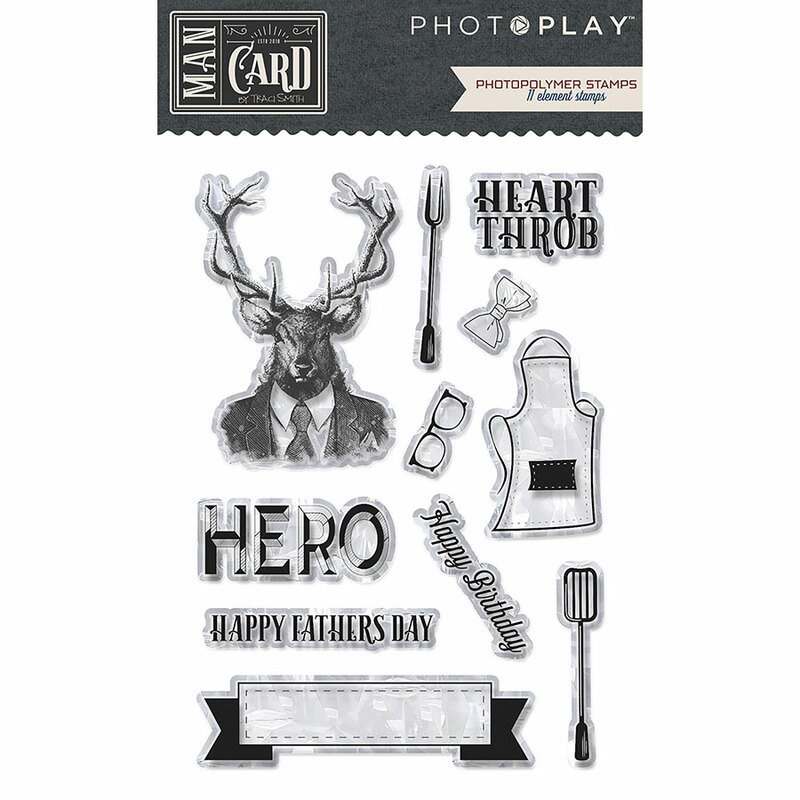 Look for coordinating Products including Ephemera Die Cuts, Element Stickers and Designer Papers.